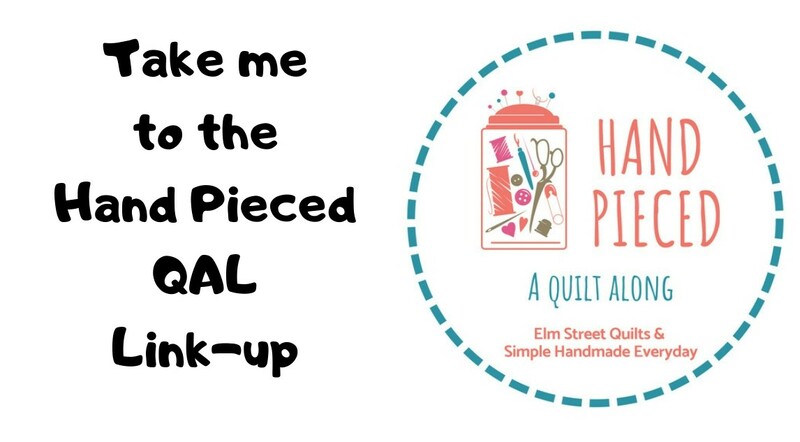 It is day 11 of my Elm Street Quilts Bag It 2015 series! For overall information on the series, visit the main Bag It page. We've done rectangles and boxes - today we are going to make a triangle! This bag looks harder than it actually is. And it is so cute - I've made a whole bunch of these to give away as holiday gifts! Sew the 15 mini charms together to create your outer fabric measuring 6½ x 10½’’. Iron on two (2) pieces of fusible on the wrong side and then quilt as desired. For this sample, I quilted lines about 3/8'' apart. Pin 6'' zipper to quilted outer fabric with two pins on either end making sure either ends of the zipper are the same distance from the edge. As always, you can start with a larger zipper and then add a fabric zipper tab at the bottom to size it correctly. Pin the lining fabric (right sides together) to the zipper and sew zipper. Make sure you start and stop roughly 3/8 '' from each edge. Open zipper and pin quilted outer fabric to the other side of the zipper. Pin the lining fabric (right sides together) to the zipper and sew zipper. Remember to start and stop roughly 3/8'' from each edge. 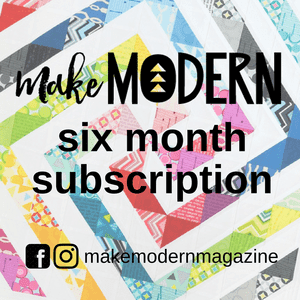 This is an important step and if you are used to making bags with two pieces of fabric, it could be confusing so take a moment to really look at the photo below. See how the quilted outer fabric is right sides together and how the lining is right sides together - each making a shape like a tear drop? Once things are sewn, it will look like this. Look carefully in the photo below. The zipper is open all the way and you can see how the lining and the outer fabric are attached. On the edge of the bag with the closed zipper end, find center of quilted outer fabric by folding and putting pin in fold to mark center.. Fold over aligning center of zipper tape with the pin marking center of the quilted outer fabric. Fold back the lining similar to what was done in the boxy bag. Sew. Repeat for lining, again this is the same technique we used in boxy bag to first sew the outer bag and then the lining. You do want to catch the zipper tape in both. Now you've got a nice neat seam on the bottom of your triangle bag. To secure the top, you are going to fold the lining and the outer bag fabric in half and pin. Leave about 2 or 2½'' from folded edge of lining open and sew from this point across lining, zipper tape and to the edge of the quilted fabric. See where that blue pin is on the lining fabric? That is the staring point. This is what it will look like before you turn it right side out. Ta Da!! Look what you made! Secure the gap in the lining either by hand or machine. 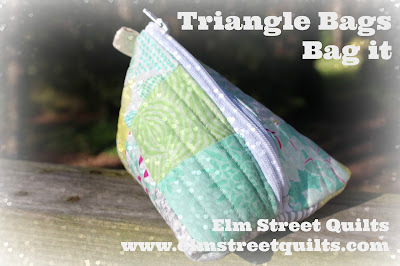 I had some leftover flying geese blocks lying around - they made a quick and fun triangle bag! 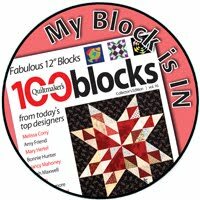 And since I had more charm squares left, I just need to made another! There are lots of options here. For this last bag, I used a piece of twill tape to make a handy pull to hold onto while you unzip the bag. I just sewed it into the seam on that last step. Aren't these fun? I'll be back with one more post on triangle bags to discuss some size options. 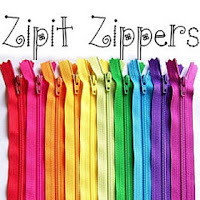 This post was sponsored by Zipit, an Etsy store as part of the Bag It event in 2015. Super cute bags and great tutorial. Total #CreativeGoodness. I'm looking forward to making these. Wonderful gift idea too! I love triangle pouches - and judging from your tutorial, you've done yours with no raw edges - I sure do like that in a bag, lol!